November | 2010 | Eugene is huge! Robots are going to take over everything it seems. This Korean product, the Windoro washes windows.. on both sides of the window. It connects itself with its counterpart by powerful magnets and looks like it does a pretty nice job washing the windows. StyleCowboys.nl | Windoro Robot to Clean your Windows from Stylecowboys on Vimeo. But really, can it do more than one window? I imagine that on large buildings, one would have to open each window and mount the robot for it to work. Perhaps it’s only viable for household use at the moment. It’s still neat though, and I am amazed at how rapidly robot technology is progressing here in Korea. Lg's windows 7 tablet is a little bit too late. 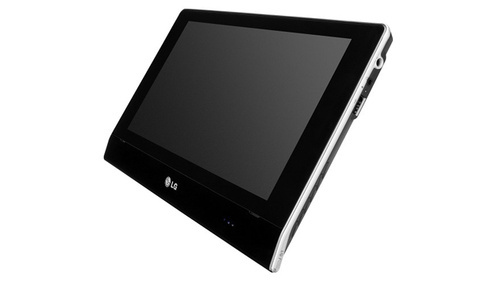 LG’s also got a tablet PC, due to be released in Korea. It will run the windows 7 OS. I think, however, with the iPad and Galaxy Tab, this particular tablet PC might not sell as well as LG is hoping, and they probably know that, because they are also developing an android tablet that will hit the shelves in January. The android tablet will be bigger than Samsung’s Galaxy tab. Originally it was supposed to be out in December, in time for Christmas, but it appears that some kind of software issue has delayed the release. So, that’s two Korean tablet PCs trying to go after the iPad. If it were me, I’d get Samsung and LG to work together. Apple is going to be tough to tackle. 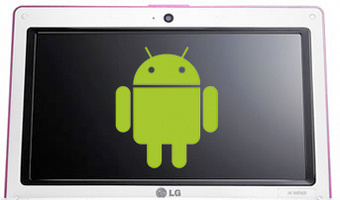 Due in January, this LG tablet will run on the android software and is larger than Samsung's Galaxy Tab. One of the most difficult things to learn to do when you learn a foreign language is to speak with an accent that doesn’t sound foreign. Usually when you speak a foreign language and your accent is lacking, it will shine through because the new language has a few sounds or different vowels that aren’t present or are used differently in your native language. Spanish speakers sometimes have difficulty with words beginning with sp, because in Spanish, e always preceeds sp, therefore, spoon becomes espoon. Speed becomes espeed, etc. This is something minor that can be easily corrected with lots of practice. Japanese and Korean speakers sometimes have difficulty with L and R sounds, because in both languages there is neither L and R, but a sound that is in between. Through training, L and R can be learned, however, words with both L and R in them can be difficult, especially when they are next to each other. Rally, Larry, really, Laurie, rarely, and words like that can really throw people off. But this is all very different from saturi. The “rr” sound in Spanish is a kind of rolled r. I can definitely hear the sound, but I can’t for the life of me pronounce it. “Perro” (dog) and “pero” (but) coming out of my mouth would sound the same. Any “ry” sound in Korean or Japanese can be pronounced with much effort, but in conversation, I drop the r, because I guess I have not trained my tongue to say this flawlessly. If anyone remembers Street Fighter, one of the special moves, the Dragon Punch is accompanied by the character shouting “Sho Ryu Ken!” (Rising Dragon Punch). Coming out of my mouth it becomes “Sho Yu Ken!” (Soy Sauce Punch). In Korean also, I still have a lot of trouble with the following consonants “ㅃㅉㄸㄲㅆ” and distinguishing the difference between ㅐandㅔ. By and large, I would have to rate my own accent as pretty good. I know I am probably not the best judge for myself, but I can hear a bad accent in Korean, and I sound nothing like that. But this is all very very different from saturi. Rosie the Robot is REAL!!!! Anyone who’s ever watched the Jetsons probably thought that by now, (2010) we’d have a lot of the things that the Jetsons have, such as moving sidewalks, flying cars, and the like. 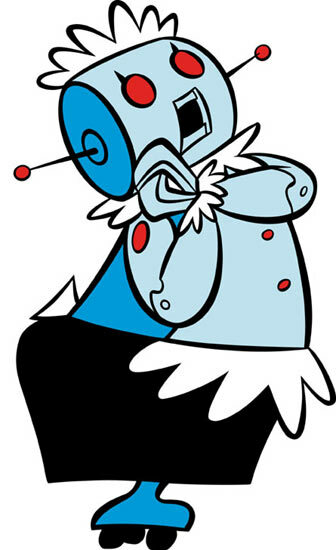 Well, we are starting to get some of it, such as holographic TVs, videophones, and now, a robot that can do housework! In an article from physorg.com, details about this robot are revealed. Mahru-Z, made by the Korea Institute of Science and Technology is capable of cooking, cleaning, and doing laundry. Now, I don’t expect that it’s anywhere near perfect yet, nor do I think that if it ever is, it will be affordable any time soon. Probably if someone is rich enough to buy one of these robots, they could at least hire a human at a fraction of the price. Who knows, perhaps 50 or 60 years from now, we’ll have these kinds of robots as standard in every house.. 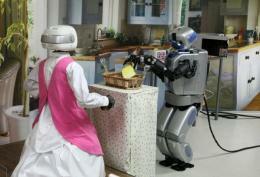 So, would you feel comfortable with one of these robots in your house? I might… but I feel if we let robots do everything for us, then we’ll forget how to do these things for ourselves. Here's a picture of 2 Mahru-Z units in action. This e-mail comes from Etienne. He’s a guy from France who is asking me a pretty interesting question about Korean food. Is there any kind of strange Korean food that you can recommend to me? I’ve asked many Koreans to tell me about Korean food but they always take me to eat barbecue and bibbimbap. I am adventurous, and I want to eat some food that is different. I can handle kimchi with no problem even though my Korean friends tell me that it has a taste too strong for foreigners. I want to know if there is some kind of food that most non-Koreans don’t like that I can try. This is actually a great question that I’ll be happy to answer. I’ll also be giving my own opinions on each food I list here. In actuality, most of the foods I can think of that people say that foreigners probably wouldn’t like are either really spicy or made of fish. I’ve found that these usually aren’t so bad. I guess there’s this notion that non-Koreans must eat hamburgers and fries all the time or something. Anyway, I’ll give you my top 5 for adventurous foods, and you can try them at your own risk. I also have to make it quite clear that I can eat practically anything, so if I don’t like it, that means it’s really BAAAAAD! The Galaxy Tab sells well. 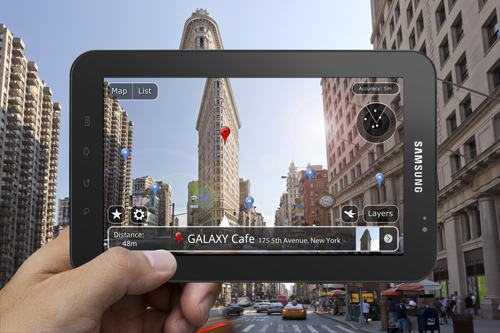 This article by the Korea Herald is about the success of Samsung’s Galaxy Tab. After being released one month ago, it has apparently sold 600,000 units, with only 30,000 being sold in Korea. This means that 570,000 have been sold overseas. That’s amazing. In comparison, Apple’s iPad has sold 7.5 million units since April, and has a 95% market share. Given the choice, I wonder if Koreans themselves would rather have the iPad or the Galaxy Tab. I don’t think I’d like either, but if someone were willing to give me one, I’d take it. HAHA. Anyway it’s pretty impressive that this Galaxy Tab has sold well. Guys, the video contest is now in its public voting phase. Please watch all the finalist videos and decide which one you like the most! Go VOTE! by “liking” the video you like the most.